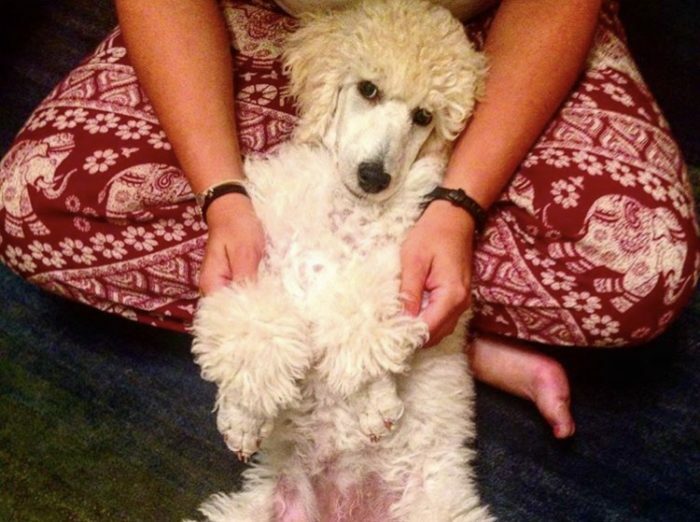 As I mentioned in my introductory post, Lillian is my almost two-year-old standard poodle. 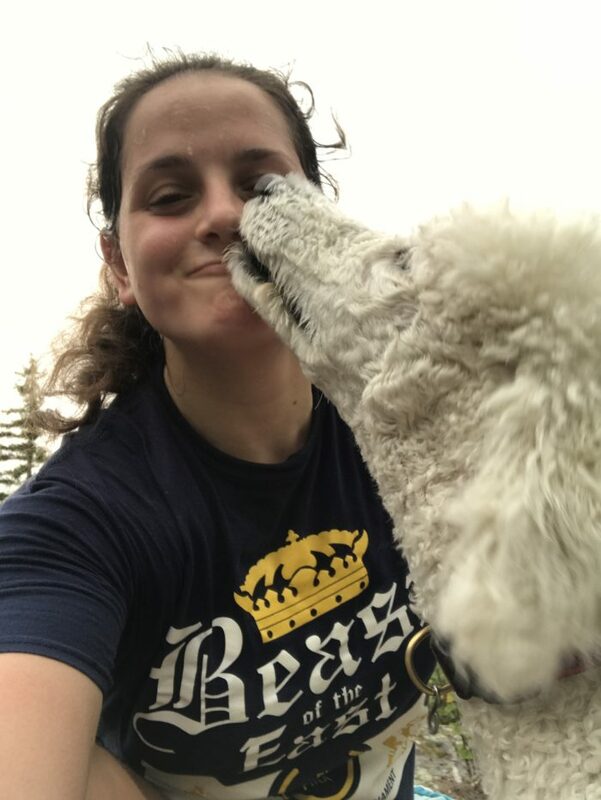 She is also my best friend – “shmoo magoo” – and trail dog. For me, there was never a question about whether or not Lily would be joining me for the adventure; she was always part of the plan. That being said, I know this will bring its challenges and that I had to do my research in order to give us the best chance of success and happiness on the trail. Additionally, I want to be helpful to other people who are considering bringing their canine companion with them on a thru-hike or other adventure. Whether you are in this category or just curious, here are pros, cons, and considerations (both personal and general) on attempting a thru-hike with a dog. Companionship: You will have your buddy with you for (almost) every step of the way. Motivation: When you’re having doubts, he or she can help push you through them. Mood: Your dog can put a smile on your face when you are down in the dumps. Mental health: This ties in with the above point. Lily is my rock, and I’m pretty sure I am hers. Bonding: Similar to hiking with people, hiking with your dog can strengthen your relationship. Safety: I’m confident that Lily would do some serious damage to anyone trying to hurt me. Also, this may help to ease the minds of people who will worry about my safety (i.e., my mom). Snuggle buddy: On those chillier nights, it will be nice to have some extra body heat around. People: Making friends can be hard, but having a dog around can bridge the gap. Lily at 14 weeks old. She loves to cuddle! Extra weight: Your dog will be able to carry some supplies (up to 25 percent of their own body weight) with his or her own pack, but don’t rely on that because you will be bearing the brunt of it. 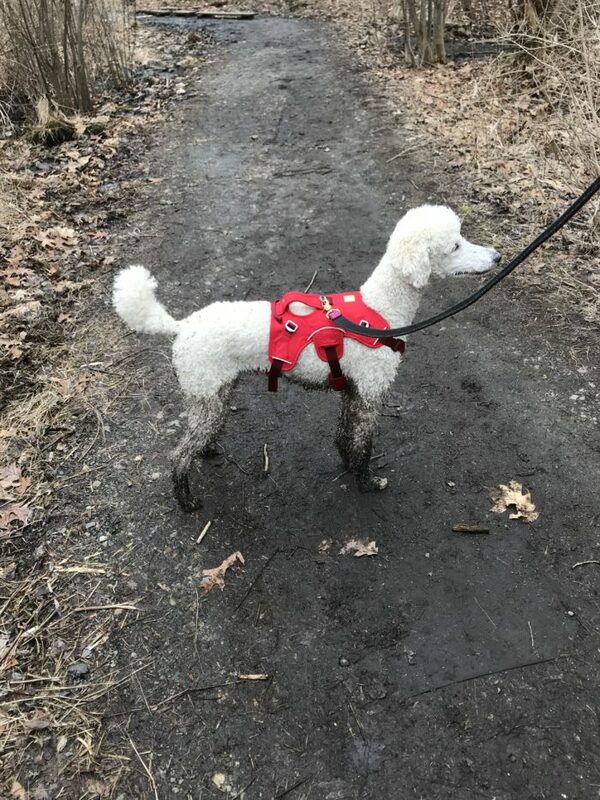 Responsibility: You are responsible for your pet, including keeping your dog on leash when necessary, properly disposing of their waste, and generally following trail etiquette. Limitations: Besides the two areas of the trail that don’t allow pets, your furry friend can also limit where you stay in towns or prevent you from going out to a restaurant. Cost: You’re not the only one who will need to gear up. Besides gear costs, there are also food and preventive health measures. Planning: Many thru-hikers rave about the freedom of the trail and being able to make plans as they go. However, with a dog, you’ll have to put a little more thought and time into each day. Tension: Similar to hiking with people, hiking with your dog can put a strain on the relationship. You will get mad at her or him, and they can get frustrated with you. Increased chance of failure: I hate framing it this way, but by bringing your dog with you on a thru-hike, you add more variables to your trip. This means an increased chance that something could go wrong. For example, not only is it possible for you to get injured or sick, but your furry friend could, too. People: There will be people who give you crap for taking your dog. Just try to take the higher road in these situations. Areas that prohibit pets: On the trail Baxter State Park in Maine and the Smoky Mountains in Tennessee and North Carolina prohibit pets. Also, keep in mind that many hostels and hotels won’t allow dogs. Will you be able to handle hitting town after days and nights in the rain only to find out that you can’t stay anywhere and will have to camp out again? Health and well-being: Before starting a thru-hike with your canine companion, you need to consider if they are physically capable of trail life. Dogs under two years of age are still growing, and it can be detrimental to their bone and joint health to take them on a thru-hike. Other considerations include preexisting health issues, vaccinations, and body type (i.e., athletic). Health and well-being, take two: During your thru-hike, you need to take essential measures to keep your dog healthy. This includes a monthly heartworm preventative and some flea and tick prevention (or combination of multiple). I am not a veterinarian, so be sure to see one and ask them about these. Nutrition: Weight loss is common on the trail, but for dogs in good body condition it can be dangerous. Therefore, you will need to look into foods that will provide your canine with the proper amount of calories (I’m going to be trying Redpaw PowerEdge 38K). Training: Your dog needs to be able to obey your commands in order to prevent him or her from getting hurt and to avoid problems with wildlife or people. 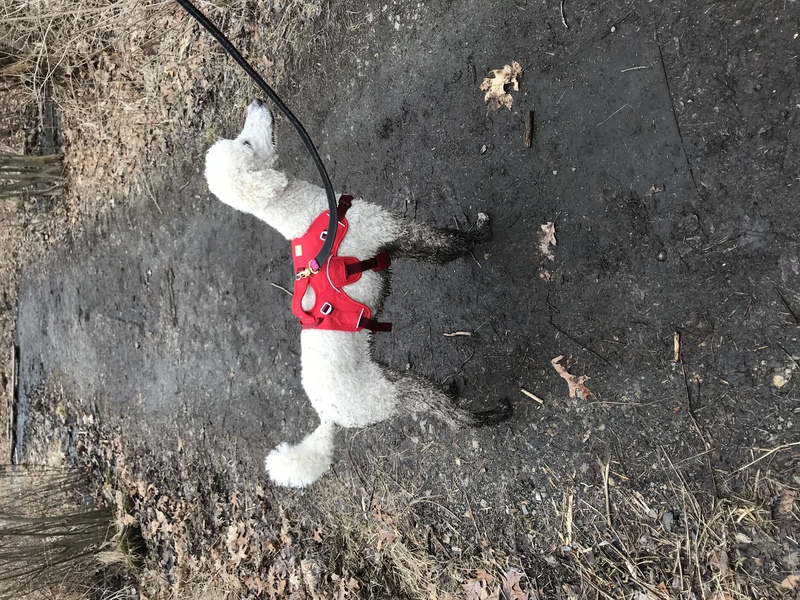 Your dog will definitely get in physical shape on the trail, but physical training is more important in exposing them to the outdoors well before attempting a thru-hike. In particular, their paws need to be used to rough surfaces. Sacrifice: This ties into the other categories, but you will have to sacrifice for your dog at some point, whether that includes accommodations, pack weight, or other considerations. Just be aware of this going in to your hike in order to help you mentally prepare for any curveballs. Did I mention grooming maintenance? I’ll likely end up throwing Lily into ponds as often as possible. 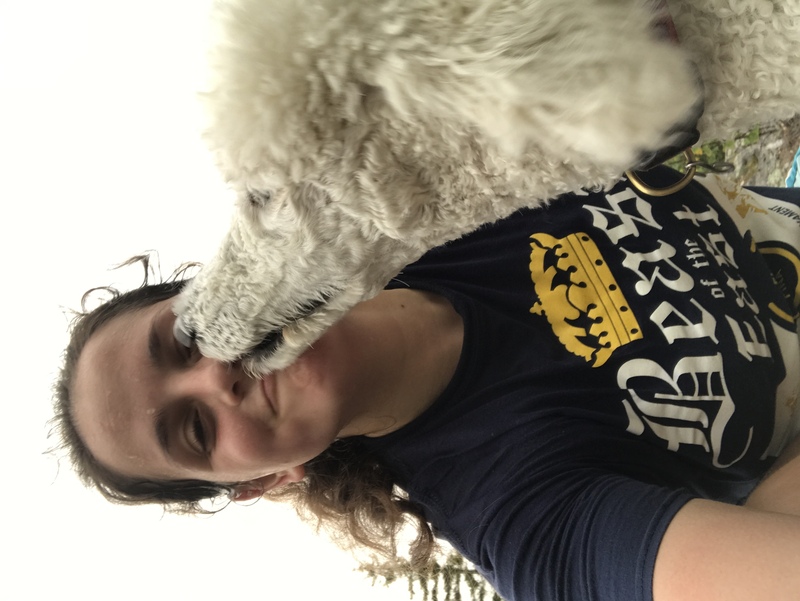 The cons and considerations are stressed above because if you can look at all of these potentially negative points and feel like you can tackle those challenges, then I would say definitely bring your dog with you. For Lily and me, I am definitely willing to face the extra work that will be necessary for us to hit the trail together. Hiking is one of her favorite activities, so I am confident that she will love it. By confronting the potential challenges to come, we will be giving ourselves the best chance of success.